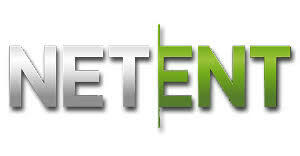 NetEnt is one of the defining software developers for the iGaming industry. Late in 2018, the company announced that it intends to release as many as 35 games in 2019. The company has established itself on the market by providing highly-entertaining products that have become part of the entire casino experience. The majority of NetEnt games today are featured as flagship titles at numerous online casinos. With games such as Starburst, Jack and Beanstalk, Jumanji, Gonzo's Quest, and Aloha! Cluster Pays, NetEnt has guaranteed itself a place alongside the best studios. Read on to find out more in our NetEnt review. NetEnt is a distinguished software provider which specializes in slot games. The studio has developed hundreds of 3D and movie-based slots, growing its library significantly over the past few years. In 2019, the company expects to release at least 2 new games per month. Apart from covering online slots, NetEnt is an established provider of Live Games and the studio has developed several preferred gaming titles, including Common Draw Blackjack, Live Blackjack, and Live Roulette. In terms of functionality and features, the NetEnt gaming software has given much to the industry. The studio has developed a number of interesting slot features, such as, Expanding Wilds, Cluster Pays, and Avalanche Reels, which help you continue winning with a single spin. The bulk of NetEnt's portfolio is animated in 3D and the games are specifically developed to work on the majority of portable devices, including iOS and Android smartphones and tablets. This technical prowess extends to the Live Dealer games, which are also available on the go. Most of NetEnt's games are slotted between 96% and 98% in terms of payout rates. The highest-paying title from the slots department are Blood Suckers and Böb: The Epic Viking Quest for the Sword. In terms of video poker, you can choose from a dozen or so games. We recommend sticking with Classic Jacks or Better, Jacks or Better or Jacks or Better Double Up as the RTPs are 99.56% for all three games. Thanks to its partnerships, NetEnt has been able to develop accurate visualizations of movie franchises and integrate them into its slot games. This adds to an authentic and immersive gaming environment. When it comes to the Live Games, for example, the developers have created an intutive overlay interface that allows you to interact with the live dealer and software at the same time. This intuitiveness extends to the mobile segment where the games have been designed to specifically handle a smaller screen while retaining the excellent quality of the games itself. In terms of graphics and audio, NetEnt has developed unique design to match both the visual expectations of players, but also create complementary background soundtracks and unique sounds. The majority of games are 3D animated and they come with a custom-made cinematic trailer, which helps set the story. Each of these companies specializes in auditing a certain aspect of NetEnt's platform, including the Live Casino, games and online security. Individual casinos also have a PCI certification, which means that it's safe to deposit and withdraw from the specific casino. In most cases, a casino that uses NetEnt's software is committed to upholding the industry's standards. Many of the companies that test NetEnt's products could in fact test the casino itself on regular basis to ensure the validity of the offer. NetEnt casinos are held in high esteem, but additional checks could never hurt. This is why some additional due diligence on your part is required. Simply make sure that your casino has been licensed and that the products are audited. It's easy to check whether a casino is up to the required standard by simply looking up its license and taking a look at the available certification agencies that have guaranteed the safety at the specific NetEnt casino. NetEnt's casino software offers excellent gaming titles that are compatible with multiple devices, including mobile. Each game comes with a modern and pleasantly animated 3D-look which is further complemented by a great music theme. From the branded slots to the high-paying video poker titles, NetEnt is a preferred choice for iGaming products. Casinos that use NetEnt as their main supplier have a diverse mix of live and traditional games, and you can be assured that NetEnt operators are a top choice when it comes to Canadian online casinos. Play the Best Slot, Table & Live Games with NetEnt!